TheBlueGuerilla: UKIP Chairman's No Show for the London Marathon. THE troubled and notorious UKIP branch of Crawley was said to be further embarrassed today, after it was sensationally revealed that acting Chairman and likely candidate for Southgate in the upcoming Crawley Council elections, Lee Gilroy, was a No Show for yesterday's London Marathon, TBG can reveal. Portly Mr Gilroy, who defected from the Conservatives last summer after receiving a massive No Confidence vote, and whom was recently revealed as once being the director to businesses with unpaid CCJs totalling £42,000, had boasted on Facebook last Autumn about gaining a place for the marathon and how he was going to commit to train for it, rather than just "turn up and run". 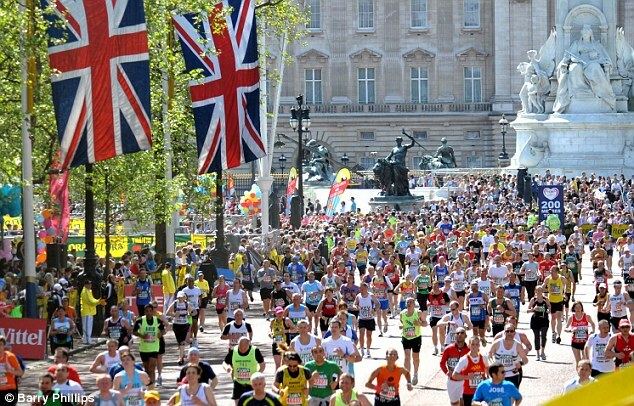 Sources reveal that Lee Gilroy posted on 1 October 2013, near Crawley - "I have been lucky enough to get my own ballot place in the Virgin London Marathon for April 2014. So instead of running just for one Charity I am going to be running for 3 which gives people the choice of who they wish to donate to. No pressure but anything that you can donate will help. There will be a "Just Giving" page set up for each Charity and please give what you can." And on 26 September 2013 Mr Gilroy posted - "I have a ballot place but I am going to run for First Touch - supporting babies at St George's Hospital this time I will train and not just turn up and run." However, after today's No Show, questions about his ability to commit to things while trying to impress people were raised by local Crawley Tories. A disappointed Crawley resident said, "Gilroy likes to talk the talk to try and impress people, but consistently fails to walk the walk, quite literally in this case. 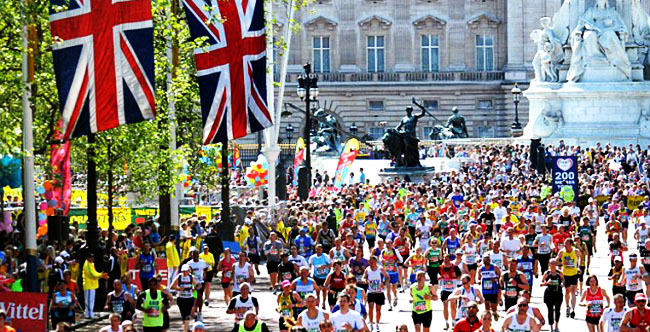 The London Marathon is usually over-subscribed and this ego trip and subsequent No Show has stopped someone else from taking part." Mr Gilroy's Facebook page has today made no reference to yesterdays London Marathon or why he failed to show despite the announcements last year. No Show is right for all-talk and no action UKIP, as that is what their councillor for Southgate, Karl Williamson, does all the time instead of bothering to attend council meetings. Crawley Tories say he is living in California while still claiming full allowences. Karl is not living in California he is a crawley resident. Lee had to pull out of the marathon because of flu spoke to the organisers who advised him to withdraw his application said it was not a problem and wished him well. I was there when he made the call. Mr Gilroy no show known for getting facts wrong. Told newspapers he was staying in Tory Party and then left a few days later.